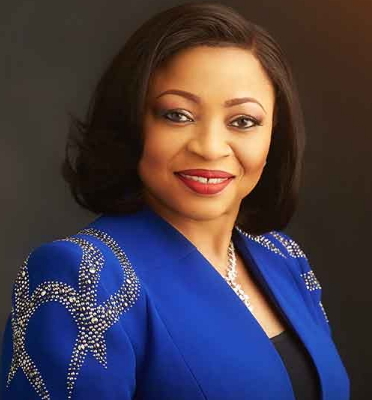 Oil magnate Folorunsho Alakija has been acclaimed the richest woman in Africa. The group Managing Director of The Rose of Sharon Group and Executive Vice-Chairman, Famfa Oil Limited according to Forbes has an estimated net worth of $2.1 billion. Recently, Effects met her at the unveiling of ACF; an initiative meant to harness the potentials of Nigeria’s entertainment industry during which she kept faith in Nigeria. This, she juxtaposed with exploring Nollywood as a vehicle of rebranding Nigeria. The philanthropist also spoke on her youthful looks at 66 and her road to success. You are the grand patron of Africa Cinematography Festival. What informed you firm belief in it? It is a humbling experience being on the platform. Africa Cinematography Festival focuses among other things on driving the entrepreneurial spirit of existing and prospective players in the Nigerian film industry. I am particularly fascinated by the vision behind the ACF project as well as the fervency of zeal with which these well-meaning men and women have gone about this. I feel convinced that the ACF speaks to the Nigerian spirit, but much more importantly, about the yearning of many of our talented men and women who appear to have hit the crossroads between their dreams and the realisation. I share the view that the future of a country, nation or people is a direct function of what the younger generation makes of it. I believe in the youths and I believe in the ability of Nigerians. Each and every one of us is extremely hardworking as a people. We are visionaries and we believe in our abilities; we believe in ourselves. We must not allow the older generation to go away with these talents without ensuring that we bring both the young and the old together to ensure that we move this industry forward; we must not let the talented ones get discouraged. The talents in the industry in Nigeria, in Africa are awesome and we must showcase them to the world. We must let the world know that we must be reckoned with. For too long we have been kept down but now we need to join the race and dictate the pace. We are tired of all the negative reports about our country. We must let the youth know that they can contribute a lot to the uplifting of the economy. Are you saying this platform can be used to rebrand Nigeria? Of course! It is part of the rebranding of Nigeria and the stimulation of the economy. We did not diversify the economy on time. It has always been about oil all the time. We did not realise the potentials that are innate in our people just because we had recourse to oil. We cashed in on it and we got carried away. We did not look within or around us. So, this is one of the gap-filling projects that must take off and find its mark. Good,that is the best decision any human on earth must take,giving your life to christ. AND USE IT TO GIVE JOBLESS NIGERIAN JOBSEEKER ALLOWANCE AND CHILD BENEFIT AND HOUSING BENEFIT AND BUILD LOW -COST HOUSING. WE NEED TO HELP GOD MAKE THIS EARTH A BETTER PLACE TO LIVE , AND GET RID OF CRIME HERE AND THERE. SO PLEASE , SURRENDER ALL YOUR BILLION . if it were you, will you give all your money to poor Nigerians?. you should say what you can do. because you don’t have money you are now talking about another person’s money. is she the government who have refused to alleviate poverty from Nigerians.